Des Moines, Washington is a Northwest gem. Nestled between the tech-driven metropolis of Seattle and the working-class port town of Tacoma lies the picturesque hamlet of Des Moines, Washington. Long before European explorers arrived, Native American tribes like the Duwamish and Muckleshoot were a regular presence in the fertile forests and waters surrounding Des Moines. But there’s no record of permanent settlements prior to the early 1870s. Not surprisingly, it’s far from a coincidence that the town shares its name with Iowa’s most populous city. The construction of what would become modern Des Moines in partnership with town founder F.A. Blasher was funded by wealthy members of its Midwestern namesake’s business community. While its neighbors to the north and south have experienced explosive growth in the last several years, “The Waterland City,” as it’s known, has embraced a more holistic approach to the region’s unprecedented boom. By leveraging its central location, affordable properties, and experienced workforce, local leaders have kept its economic engine humming prosperously, and great schools including Highline College make Des Moines an attractive area for families as well as entrepreneurs. The publicly maintained marina, with its arresting views of the Puget Sound and Olympic Mountains, is the community’s sparkling gem, and provides myriad opportunities for recreational sailing, clamming, and fishing. A temperate Northwest climate means there are plenty of year-round opportunities to experience the surrounding area’s breathtaking natural beauty, and make the sprawling Saltwater State Park a destination for nearly a million outdoors-loving folks each year. Visitors to Des Moines should also set aside time to stroll the city’s Downtown Marina District, as its small-town charm and delightful specialty shops make it a perfect way to while away an afternoon. As evening approaches, local favorites like Wally’s Chowder House or Anthony’s Homeport offer patrons perfect perches to enjoy a bevy of wild-caught seafood options, and the Scotch and Vine challenges connoisseurs to choose from over 250 fine whiskeys. 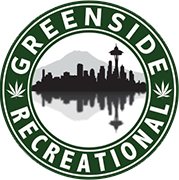 And of course Des Moines is the location of Washington’s favorite recreational cannabis shop: Greenside Recreational.